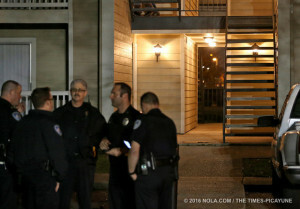 A 19-year-old mother of two was reportedly shot and injured at the St. Germaine Apartments in Harvey Saturday evening, January 9, 2016. According to The Times-Picayune, the victim was struck by a bullet when she stepped outside her Manhattan Boulevard apartment to smoke a cigarette, shortly before 8:00pm. “Witnesses living in the St. Germaine Apartments…said they heard a single gunshot and screams within the complex around [that time].” The woman was reportedly transported to the hospital in critical condition to undergo surgery. Her current condition has not been released, and police have apprently not yet identified a suspect. How did the gunman gain entry to the property? What security measures, such as bright lighting, gated-entry, surveillance cameras, and security patrols, were in place at the time of the shooting? Generally, property owners are required to protect all residents legally on the premises from any foreseeable harm. Should the facts of this matter reveal that the apartment complex owner or management company failed to provide adequate security to protect those on its premises, the victim may seek justice and elect to pursue a legal claim for her injuries.